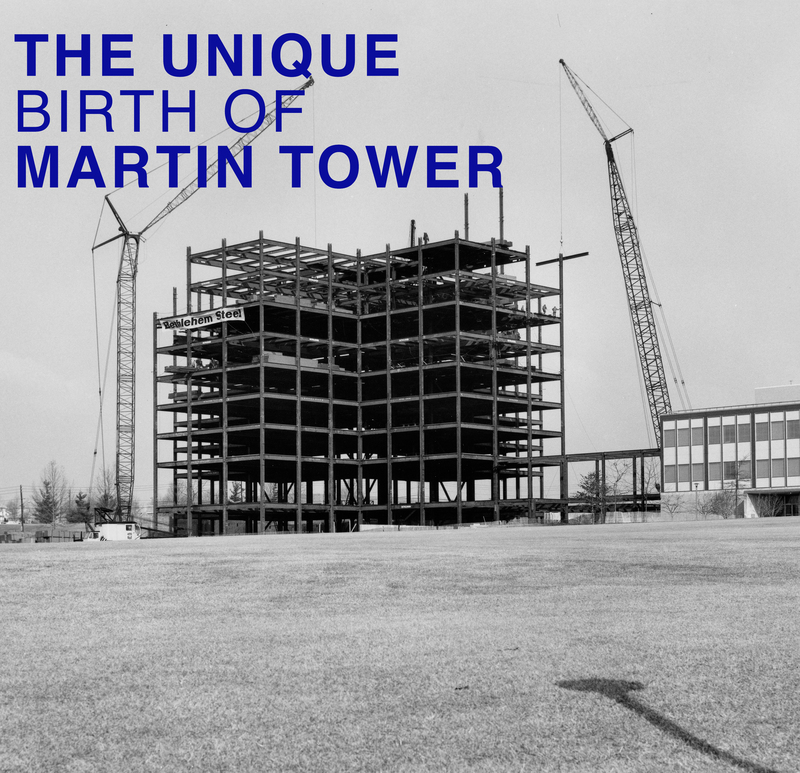 NMIH is excited to host Gordon Baker, a retired licensed professional engineer and Civil Engineering graduate from Lehigh University has a unique history with Martin Tower. Assigned to Bethlehem Steel’s Fabricated Steel Construction (FSC) division, a sector of the company known throughout the industry as the place to go for major steel structures, he helped develop and implement a computerized system that produced shop drawings needed to fabricate building beams and columns. This system was used for the first time on the development of Martin Tower at Bethlehem Steel’s Leetsdale facility, where Mr. Baker trained draftsmen in the use of the new program. Although cumbersome using 1960s technology, the numerically controlled program allowed for the computerization of equipment that punched holes in steel beams and burned shapes into plates. Later in the development of Martin Tower Mr. Baker supervised the fabrication of the beams and columns as an Assistant Superintendent at the Leetsdale fabrication shop.